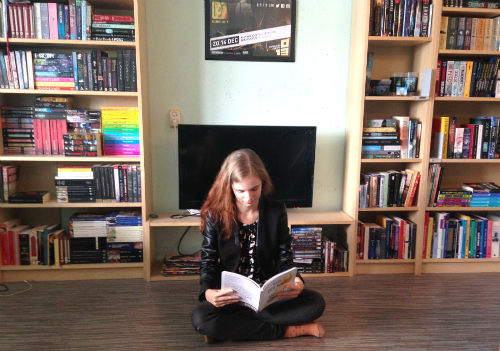 I accepted this because of the blurb, and the quite professional looking cover. I was expecting a nice paranormal-historical mix with a bit of romance to bind the thing together. What I got was a mix that needed a lot more stirring. When Claire discovers that she is the heiress of a big property, she finds out the girl from her dreams used to live here once. Is she going crazy, or is there more going on here? I really liked Claire’s voice, and her friendship with best friend Emily. The spooky-little-girl-in-your-dreams concept might not be very new any more, but I still enjoy a good ghost story. Unluckily, this story didn’t get its cold-shivers moments from the ghost plot, but of the crazily irresponsible choices Claire makes. I’m going to rant & spoil a little bit in this part. I’ve warned you. End of little rant. Completely organised thoughts coming up. I think this book would have been a lot better if Ms Bayarr had picked up her story, thrown it in a mixer, and let it whirr for a long, long time. It has great elements, but it has such a clear structure that in the whole middle part of the book, there isn’t even talk about the ghost. It goes a bit like this: introduction with the spooky ones, romance, romance, romance, put spooky ones to rest. I would have liked the romance spread out over the entire story a lot better. Now romance is the focus point of the whole middle part, taking the speed out of the ghost story. And don’t get me started on the so-called “romance” again. I’ve been there already. 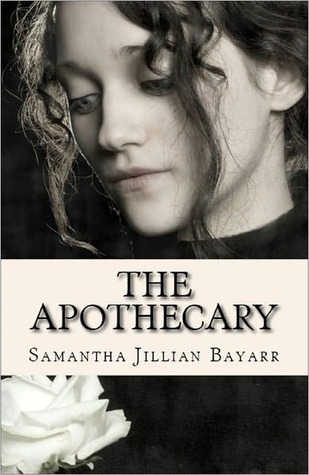 The Apothecary has everything a story needs, it has a likeable narrator (when she’s not off doing something irresponsible), it has some cozy mystery. It took Claire a little while to understand what really happened at the manor, but I liked how everything was wrapped up. If you have nothing to read on a rainy day, I would certainly recommend this, just with a slight warning. When Claire Mayfield suddenly finds herself the new heir of a property that has lain vacant for over one hundred years, she becomes leery of the rumors of the hauntings from the three young children who were said to have been murdered there. As Claire explores the manor, she discovers her great uncle, Dr. Blackwell’s apothecary and traveling medicine show from the late 1800’s, and even stumbles upon clues that could help her solve her ancestor’s one hundred-year-old murder-mystery—all with a little help from a young girl who has been dead for over one hundred years.